Listed below are Tickets items for you to car boot sale online here that you will find available in Birmingham. If you cannot find the Tickets items that you are looking for in Birmingham you can add your wanted item to let sellers contact you if they have any Tickets items available for you. You can keep your contact information confidential. Enter only an email address in your car boot sale ad to receive offers into your account on our system. We will remind you automatically when new offers arrive for you. To offer your items for sale on this online car boot sale in Birmingham simply click Post free ads for Tickets link below or the button Post free ad in top right corner of this page. It is fast, easy and free to post an ad in 2lazy2boot. It will take you just few minutes to have the ad seen on our listings. You can then edit your ads any time by clicking “Member area" button on top right corner of this page. Morocco excursion offers you a lot of opportunities day by day. We started morocco excursion company within simple ideas but with the passing of time the people becomes moderate and trend of tours are seems to be enhanced. Considering the demands of our customers we offering you opportunity for sightseeing and cultural exploration. We provide you a best reliable and quick airport transfer services. We have luxury Minibuses in which you feel relax during journey. We have professionally trained drivers they know all the routes of Birmingham. They will drop you at your destination in promise time. Get airport transfer Fulham services in affordable prices by Minibus from Birmingham Airport, we are the leading airport transfer service providers since many years. 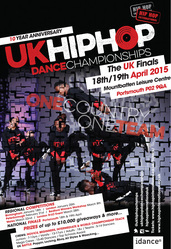 One Country, One team, Regional Street dance competition giving you a chance to qualify to represent UK. Regional finals for Birmingham 18th January, National finals in Portsmouth. Hip Hop International will also be running workshops nationally with some of the best choreographers that the UK has to offer, helping you to become the best in street dance. MALE ADULT SEASON TICKET Seating in Colin bell for the next to MASSIVE home games please contact me ASAP as first game Monday. Have attended most games This season but working away at the moment so won't be able to attend really gutted :/ phone me 07969354984. Well here you go. Good luck with your on line car boot sale in Birmingham. We hope you have some success and find buyers/sellers that you are looking for in Tickets . Don’ t forget to comment any successes in selling your Tickets items in Birmingham to our valuation window and report forum! We are sure you will find many people in Birmingham looking for your Tickets. Birmingham car boot sale. Tickets for sale ads on online car boot sale in Birmingham, second hand Tickets for sale in Birmingham, Tickets ads for free in Birmingham, 2lazy2boot - Birmingham car boot fairs.